Are you thinking about learning how to start a blog? Creating a blog has been one of the best decisions I’ve made. It has changed my life. I started this blog in late 2009. It has since grown to around 60,000 visitors per month and over 10,000 subscribers. So what you’re about to read comes straight from personal experience. 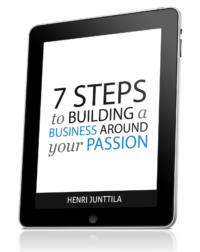 In this guide you’ll discover what has worked for me, and what hasn’t. I’ll also share the tools I use and recommend. This is an in-depth guide, so grab your beverage of choice and let’s get started. 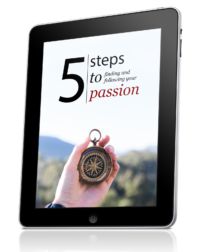 You’re about to read some of the best information you’ve come across on getting started with a blog. Excitement. If you’re interested in blogging, you should do it. You don’t need a better reason. If you feel like it, start now. Don’t let anything hold you back. Story. You have a story to share. It doesn’t matter if you think you don’t have anything to say because you do. If you secretly want to blog, you should blog. Challenge. Blogging is a challenge. There’s a lot to learn. It’ll stretch your mind and impact other areas of your life. Let the fear be there and take action anyway. Growth. When you step out of your comfort zone, you grow. One day, you will be dead, so why not take a chance? Why not challenge your assumptions and create a blog? Connections. When you start blogging, you’ll naturally create connections with like-minded people. This alone may change your life, just like it has mine. There are many other reasons, but these are my core reasons. Don’t let fear stop you. Start small. Think baby steps. And start listening to that whisper inside you. As you read this guide, there’s one thing I want you to focus on, and that is taking action. If any of the information you read here doesn’t resonate with you, discard it. Your goal should be to move forward, not to get things perfect. What I’ve written here comes from my experience. It should serve as an example of what is possible. There are no rules you have to follow. Things will never be perfect before you start your blog. You just have to start, and you have to start now. The process is extremely simple and affordable. There are no excuses, unless you truly don’t want to do this, but if you’ve read this far, I think you want to see how deep the rabbit hole goes, don’t you? A domain name simply makes it easier for your visitors to find and remember your blog. Most web hosts include a domain name in your package, and one of the web hosts in this article gives you a domain name free for a year. So you don’t have to get a domain name separately. Some people may argue that you should, but it’s not important when you’re starting out. Now you may get stuck on trying to come up with the PERFECT domain name, so let’s solve that problem before we move forward. Your focus should be on coming up with a domain name that is good enough, because you can always change it down the road. Technical wizardry can be used to easily change your domain name later if you want to, so you don’t have to get it perfect right away. With that said, let’s come up with a domain name that’s good enough, shall we? When I started trying to come up with the name for Wake Up Cloud, I started seeing clouds everywhere. No, not just in the sky, but cloud-painted cars, articles about clouds, and many other cloudy things I can’t even remember now. That’s when I thought, “Hey, maybe I should use the word cloud in my domain name? I like the colors blue and white.” And that’s what I did. I tried different names, such as Cloud Connection, but they were all taken. Finally, I landed on Wake Up Cloud. It wasn’t perfect, but it was good enough. So grab a pen and a piece of paper, or open a document on your computer, and start writing down anything and everything that comes to mind about your topic. Look at your favorite blogs and websites. How are their names structured? I’m not talking about using their exact names, but look at the structure of their names. Are they using two words? Do they use one word together with a made up word? What’s going on? What are some of your favorite sites? Write them down and look at how their domain names are structured. If all else fails, simply use your name, or a variation of it. You may not like your name, but it’s often good enough. If you get so stuck on coming up with a domain name, just use your name. Remember, focus on getting started, not on achieving perfection. Coming up with a domain name is hard, but remember, you can always change it down the line. Don’t get stuck on coming up with the perfect one. Just focus on finding one that’s good enough and then start blogging! Now let’s move on and look at why you should avoid starting a FREE blog. It may seem enticing to go with a free WordPress platform such as Blogspot or Tumblr. And if you just want to write a personal journal, you may not need a self-hosted setup. But if you’re at all serious about blogging, and want to potentially make a few bucks, or build a popular blog, then self-hosted is where you need to go. If you go with a free blogging platform, you don’t have control over your content, and in most cases, you aren’t allowed to put up advertising. There may be other restrictions. These differ from service to service, so you’ll want to read the fine-print. Free is never free. It comes with a cost. And if you read the Terms of Service on these sites, you’ll notice that many of them say that they have the right to shut down your blog at any moment, or use, host, store, reproduce, modify and distribute your content. This is a problem. That’s why I recommend you go with a self-hosted setup. There are plenty of free and premium themes available when you self-host, compared to getting a free account. Yes, you can get some sweet looking designs with a free blog, but they usually come with restrictions, and there are fewer designs to choose from. This means that more people will be using the same designs. So when you start a self-hosted blog, and get a nice WordPress theme, you’ll stand out from everyone else, which increases your chances of standing out. 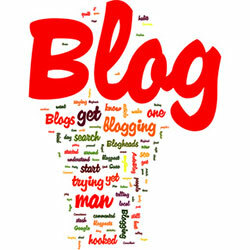 With a free blog, you can’t upload your own plugins, which means that the functionality of your blog will be limited. Now, if you don’t need the functionality, no problem. But I will say up front that being able to use the magic of plugins is glorious. It’s like Luke Skywalker before he became a Jedi compared to Luke when he became a Jedi. That’s the difference we’re talking about here. There are many other reasons go to create a self-hosted blog, but I just wanted to give you a quick taste. Let’s move on to the web hosts I recommend. You need a home for your website, but not just any home. You need a quality home that will stay up when there’s a storm, and that will get help when a window breaks. And you want high quality support that can help you if you get in trouble, or just make a mistake. My #1 pick is HostGator. Why? I’ve been with them for several years, and I’ve never had any trouble with them. I still use them to this day for most of my websites, except Wake Up Cloud. For Wake Up Cloud I use a managed hosting service called Outstanding Setup, because I get a lot of traffic. However, if you’re just starting out, I recommend HostGator. I’ve been in touch many times with HostGator support, and they’ve always helped me with any trouble I’ve had, so I’ve been happy with them. If I weren’t happy, I wouldn’t still be with them, and I certainly wouldn’t recommend them here. To get a nice discount on your hosting package, make sure you use my HostGator link by clicking here. Now, let’s have a look at how you can get started. HostGator has three plans. The best one for most people will be the Baby Plan, because you get unlimited domains, which means you can host multiple domains, or website URLs, in the same hosting plan. This means you can start many websites within the same plan. You could even change the name of your website and still keep it within the same plan. If you know you’re just going to have one website, then you can start with the Hatchling Plan. You can always change plans later, so there’s no need to worry. I personally started with the Baby Plan, because I have multiple websites. 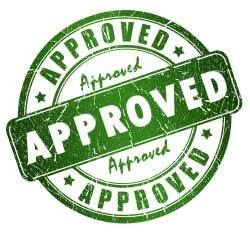 Once you’re ready to start, go to the HostGator Plans Page, and simply click the yellow Sign Up Now! button under the plan of your choice. 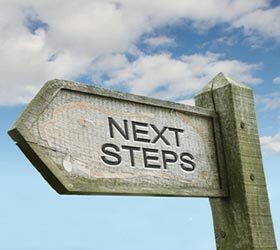 After you’ve selected your plan, the first step is to register the domain name you want. Once you type in the domain name (without .com), you’ll see if it’s available or not. If it’s available, you can choose it and scroll down. Alternatively, if you already own your domain name, you can hit the tab “I Already Own This Domain” and then move on. When you scroll down, step two is to type in a username and password that you’ll use to manage your HostGator account. Then in step three, type in your billing details. In step four, you can choose additional services. The only one I would consider for right now is Domain Privacy Protection. It hides your personal contact information so no one can see your name and address if they lookup your domain. In step five, a coupon code should already be filled in for you if you used my HostGator link. (When you use my link, you get a nice discount). Congratulations! You now have your very own hosting account. The next step is to install the most popular blogging platform, which is WordPress. You can follow along in the video, or follow the steps I cover below. After you’ve completed your purchase, you should have received an email from HostGator with your cPanel username and password. cPanel is basically the control room of your website. It’s where you can setup your email, WordPress, backups, and so on. The cPanel link is specific to you, so make sure you save or bookmark it. After clicking, you’ll arrive at a page that looks like the one below. Click the WordPress link in the left sidebar (marked 1), and then click on the install WordPress button to the right (marked 2). This is your domain name. Nothing you need to do here. This is the sub-directory. You can leave this blank. Type in your favorite email address. Type in your blog name. If you don’t know yet, don’t worry, you can set this up later. Type in the admin username for your WordPress installation (Security tip: do not use admin as your username). 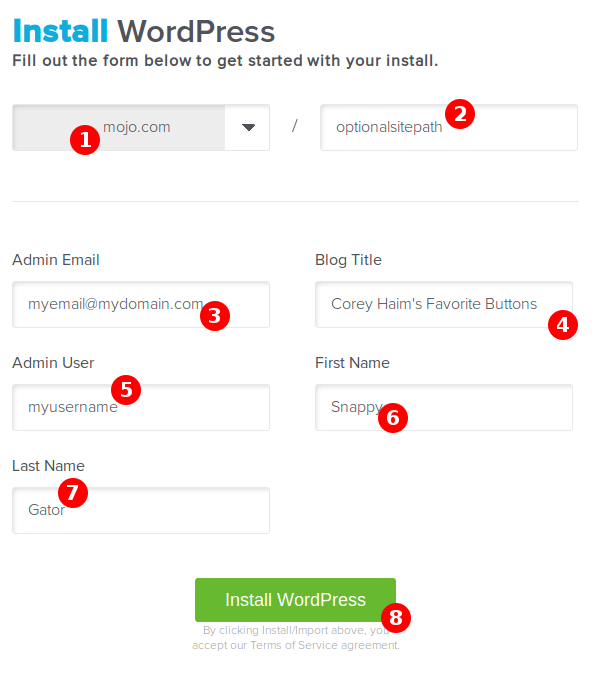 Click the Install WordPress button and you’re done. A progress bar should appear at the top letting you know how the installation is going. You’ll also receive an email with your login information. You’ve just installed WordPress, and you can now start writing and publishing. If you haven’t signed up yet, and are about to, remember to use my HostGator link for a sweet discount on your hosting package. 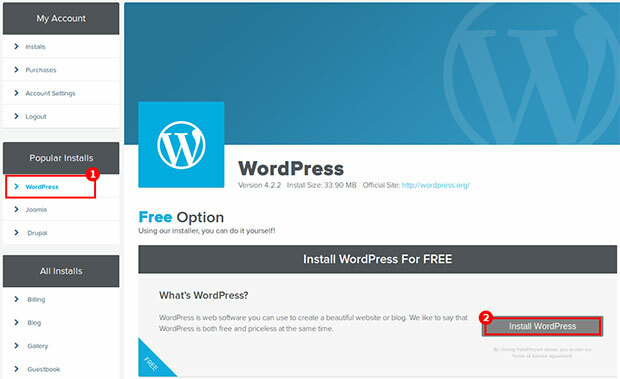 If you’d like to learn more about how to spruce up your WordPress installation, keep reading. If you’re not satisfied with using a free WordPress theme, you can always go premium, which will give you a professional looking design and help you stand out from the crowd. And if you pick a good WordPress framework, you’ll get a faster, cleaner site that just works and that search engines love. My go to WordPress framework is Genesis, which has dozens and dozens of professionally designed themes you can pick from. Wake Up Cloud runs on Genesis and uses a custom version of the Focus theme. And many of my newer websites run on Genesis because it makes my life easier, and I can always trust the fine folks at StudioPress (the creators of Genesis) to help me out if I have trouble. I’ll just leave it at that, if you want, you can check out some of the themes they have available by clicking here. Before I let you go, I want to share some of the blogging mistakes you should avoid. I’ve fallen into many traps, and spent $10,000+ on get rich quick schemes, so hopefully these tips will help you save some money and time. Giving Up. Blogging takes time. Don’t expect to see overnight success with your blog. Let it grow at the pace it grows. If this is one of your first blogs, then you’re still learning and experimenting. Let yourself have fun with the process. Let go of the seriousness, because, well, it’s no fun. Rigid. Allow yourself to change directions. I did so several times with this blog. Listen to your audience and your interests. Remember, there are no rules for building a popular blog. One blogger might tell you to do X, while another says Y. It doesn’t matter. Pick what resonates with you and take action. Trust. Put your audience first. Don’t spam them with offers just to make money, but give them tips that will help them. When you build trust, everything else falls into place. Hiding. Tell your story. Be yourself. People want to connect with you. You don’t have to be an expert or anyone other than who you are. I see so many bloggers try to fake it until they make it, and while that can work, it doesn’t resonate with me. Just be yourself and enjoy the process. Promote. A big mistake beginning bloggers make is not promoting their blog. You should spend 80% of your time writing guest posts, commenting, and doing other things to get people to your blog, then spend 20% of your time crafting great content for your own blog. There may seem to be a lot of details to deal with, but you only have to take one step at a time. If you’re just getting started, follow the video above. It’ll show you exactly what you need to do to get started. And if you get stuck, ask support and they will help you out. Think baby steps and you’ll do just fine. And if you enjoyed this guide, remember to share it with your friends! Most helpful thank you Henri, sound and simple advice and suggestions – I began last year with wordpress.com, but am seriously considering wordpress.org in future! Thanks for reading, Sandra! Switching over is easy, especially with many hosting providers providing free migrations. One of your most useful posts yet! Love the continuous progress on your site. #5 on Biggest Mistakes is the main take away for me. Moving forward, I have a better idea of how much time I actually need to spend on the promoting side. A most interesting, helpful and encouraging post. Thank you. A family member referred me to this resource. Thank you for the details. To anyone planning on starting a blog if at all possible pick something you’re passionate about. Regardless of how smart or good of a writer you think you are it’s going to be at least several months to a few years before you’re able to make a living from your blog. You’re unlikely to make it past the dip where you don’t see results coming in if you don’t care about what you’re writing about. I was just wondering is the setup similar with HostGator and Outstanding Setup. Not sure which one I choose yet, But I’d like to make payments monthly. 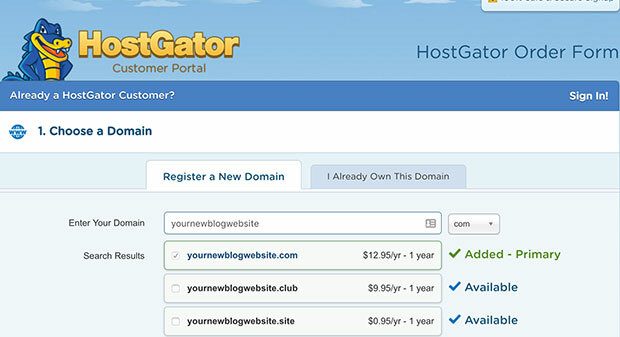 HostGator is self-hosted, so you sign-up, go to your control panel (cpanel) and install WordPress there. If you go with Outstanding Setup, they will install your blog for you, and make sure it’s always up and running. I just discovered your blog a few days ago, and already I’m learning a lot. Thanks for all that you do! I have a question about guest posting and other efforts to promote your blog. How much content should you have on your blog before you start doing a lot of promoting? If new people come to your blog and see that you have three posts, they might think “Eh. Not much here.” I would think that you need to have a certain amount of valuable content there waiting for them. I wouldn’t worry too much, though. Just make sure your site doesn’t look like it’s under construction, start guest posting, and go from there. I think I started when I had 3-5 posts, so that’s plenty.